A list of the starting five and sixth man for each team based on performance and impact with the team. Players can only be on one of the teams they've played for. Stats include NBA and ABA. Formed in 1946 as the Buffalo Bisons the Hawks like many franchises have had different names and locations in their early years. They spent 5 years as the Tri-City Blackhawks before moving to Milwaukee for the 1951-55 seasons after taking on the Hawks nickname. After struggling in Milwaukee they moved to St. Louis, where they stayed from 1955-68. In St. Louis the Hawks had the most success in franchise history, they won four conference titles and their one and only NBA Championship in 1958. During that time they were consistent league contenders with one of the best players of all-time Bob Petit. They finally settled in Atlanta in 1968. In the early Atlanta years, they had success with Pete Maravich and Lou Hudson but didn't consistently stay among the league's elite until the 1980's led by the "Human Highlight Film" Dominique Wilkins. During this time their home arena became known as the "Highlight Factory". Since the 80's they've been a middling franchise, making the playoffs most years but usually exiting with early eliminations. Founded in 1946 the Boston Celtics are arguably the most storied franchise in the NBA. The owners of 17 NBA championships the most in history. With 21 Conference titles and 21 retired numbers, they have had some of the greatest players to ever play come through their organization. They are also one of the few teams that have been around since the forties that haven't relocated. Forming in 1946 in the BAA one of the leagues along with the NBL that merged to form the NBA in 1949. They were also the first team to sign an African-American player Chuck Cooper in 1950. The team's first championship came in 1957 led by Red Auerbach and Bob Cousy a year after drafting transcendent center Bill Russell. They went on to have the greatest run in NBA history winning eleven championships over a 13-year span including an NBA record, 8 in a row from 1958-66. They experienced more success in the seventies led by a carryover from their 60's super teams John Havlicek with the help of center Dave Cowens. This success continued after drafting "The Hick From French Lick" Larry Bird in 1979. During the eighties, the Celtics won 3 NBA titles and appeared in five NBA finals after Bird retired the team struggled throughout the nineties but by 2002 they were back in the Conference Finals. In 2008 they won their most recent title led by Paul Pierce after acquiring Kevin Garnett and Ray Allen in the off-season. The Celtics are also part of this most long-standing rivalry in the NBA with the Los Angeles Lakers. Forming as the New Jersey Americans in the ABA in 1967 the Nets have made it their way throughout the New York area the last 50 years. They became the New York Nets in 1968. In 1969 they acquired Rick Barry and two years later they made it to the NBA finals where they lost to the Indiana Pacers. The following season Barry left and two years later after acquiring Julius "Dr. J" Erving, they won the ABA Finals defeating the Utah Stars they went on to win the title again two years later after beating the Denver Nuggets in the final season of the ABA. They kept the name New York Nets the first season after the ABA and NBA merger but by 1977 they moved back to New Jersey. They had teams in the 80's that had talent but it was always injuries or suspensions that led them not to reach their full potential. In the nineties, they formed another talented team with number 1 draft pick Derrick Coleman that ended up being derailed after the untimely death of Drazen Petrovic. In the early 2000's they were once again competitive acquiring Jason Kidd and making it to the NBA finals in consecutive years where they lost to the Lakers and Spurs respectively. Since then they've moved to Brooklyn and had some successful years but have not advanced farther than the second round of the playoffs. The Hornets have had many different names and even franchises from Charlotte to New Orleans and back to Charlotte again. Joining the league in 1988 the Hornets had some early success in the early nineties with players like Larry Johnson, Alonzo Mourning, and Muggsy Bogues reaching their first playoff berth in 1992. The Hornets still didn't have much success in Charlotte only making it as far the second round of the playoffs a few times. In 2002 they moved to New Orleans before drafting Chris Paul in 2005. They had a consistent playoff run and played a few years in Oklahoma City due to Hurricane Katrina from 2005 to 2007. After trading Chris Paul to the Clippers. They stayed in New Orleans and kept the Hornets name until changing their name to the New Orleans Pelicans in 2012. In 2004 the NBA expanded and added the Charlotte Bobcats. From 2004-2014 the team in Charlotte went by the Bobcats. They had little success and eventually, they changed their name to the Hornets adopting the previous Hornets franchise history. 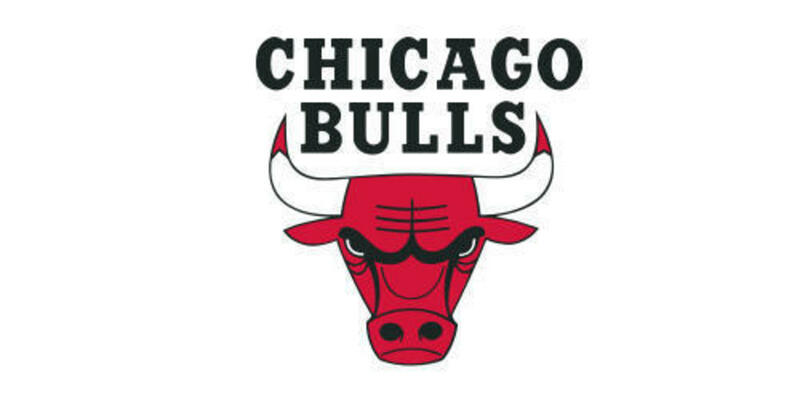 After the Chicago Stags left in the 1950s, it was 16 years before another NBA team would call Chicago home for an extended period. The teams in the seventies which consisted of Bob Love, Chet Walker, and Jerry Sloan had a modicum of success making it to the Conference Finals in 1975 before losing to the Golden State Warriors in seven games. They didn't have any notable seasons for the remainder of the seventies and it wasn't until the eighties after drafting Michael Jordan in 1984 that the team had any sort of long-term success. After initially struggling with the Celtics and then the "Bad Boy" Pistons. The Bulls eventually broke through in 1991 beating the Los Angeles for the first title in Bulls history. They went on to win three consecutive titles from 91 to 93 led by Michael Jordan and Scottie Pippen and coached by Phil Jackson. After a short hiatus from 1993-95, Jordan returned to win three more titles in a row after acquiring former rival Dennis Rodman. This run included the record-setting 1995-96 season in which they won 72 regular season games. Since Jordan retired in 1998 the Bulls have consistently been a playoff team but never making it to the Finals. The closest they've gotten is the 2011 season led by MVP Derrick Rose a year in which in which they lost in the Conference Finals to the Miami Heat. Formed in 1970 the Cavaliers had moderate success in the 70's making it to the playoffs three times and getting to the conference finals once in 1976 with stars like Austin Carr, Jim Chones, and Nate Thurman. From 1988-98 under coaches Lenny Wilkens and Mike Fratello the Cavaliers made it to the playoffs eight times only getting as far as the second round once in the 1992-93 season. After down years in the Late 90's to early 2000's, the Cavaliers drafted Lebron James in 2003. From 2003-2010 during Lebron's first tenure with the team, the Cavaliers became on of the elite NBA teams advancing all the way to the NBA Finals in 2007 losing to the San Antonio Spurs. After four years in Miami, James returned in 2014 and led the team to consecutive Finals appearances winning in 2016. The first championship in franchise history. Dallas Mavericks inaugural season was the 1980-81 season. They had some success in the 80's making the playoffs 6 out of 7 years from 1983-1984 to 1989-90. The furthest they advanced during that period was the conference Finals led by stars Mark Aguirre, Derek Harper, Sam Perkins, and Rolando Blackman. They went the next 10 season without making the playoffs until the 1999-00 season after Mark Cuban became the team's owner and they acquired Dirk Nowitzki. Under Cuban, the Mavericks have made 15 playoff appearances reaching the NBA Finals twice and winning their first championship in the 2010-11 season. In both of their Finals appearances, they were matched up against the Miami Heat. The Nuggets were founded initially as the Denver Rockets as one of the charter teams of the ABA in 1967. They made it to the playoffs every year in the ABA but lost their only Finals appearance in 1976 two years after changing their name to the Nuggets, the last year of the league. In the 80's they were a high scoring fast paced team taking advantage of Denver's high altitude with players like Alex English, Kiki Vandeweghe, and Dan Issel. In 1983 the Nuggets and the Detroit Pistons combined for an NBA-record 370 points, with Detroit winning in triple overtime, 186–184. During this time they had success making the playoffs nine straight seasons advancing to the conference finals in 1985. From 1991-2003 they made the playoffs only twice. The shining spot during that time period came in 1994 when they became the first 8th-seeded team to defeat a 1st-seeded team in NBA playoff history beating the Seattle supersonics in five games. By 2004 they were back in the playoffs after drafting Carmelo Anthony. From 2004-2013 they made 10 straight playoff appearances including a 2009 Conference Finals loss to the Los Angeles Lakers. 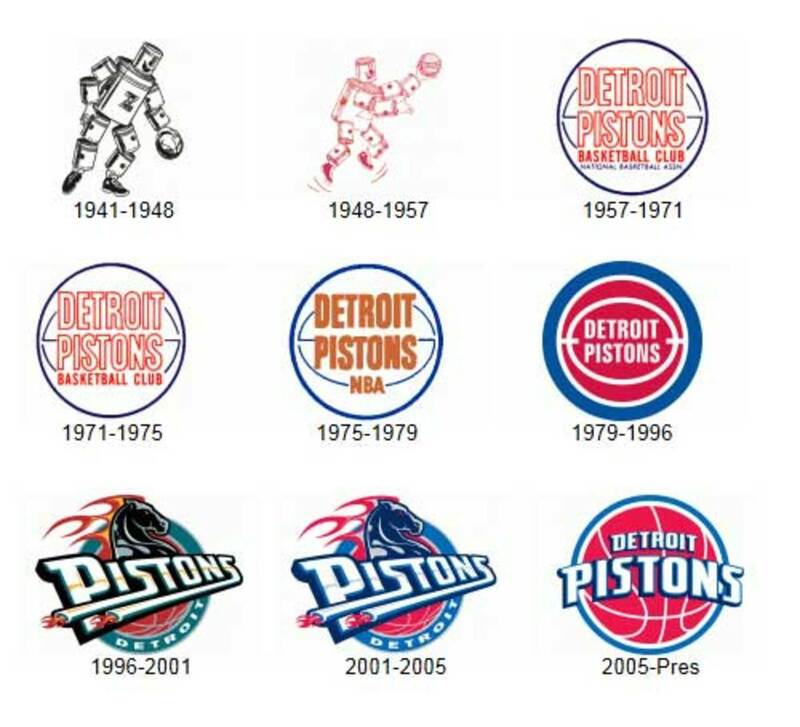 The team started as the Fort Wayne Zollner Pistons in 1941 as part of the NBL. They joined the BBA in 1948 a year before the NBA merger and made it to the NBA Finals in 1955 losing to the Syracuse Nationals. Some believe that the Piston intentionally threw that series because some of the players may have been linked to gambling and other nefarious activity. They moved to Detroit in 1957 because Fort Wayne was too small a market. Throughout the sixties, they had great players but bad teams with players like Dave Bing, Bob Lanier, and Dave Debusschere. In the in the seventies with Bing and Lanier, they had a little bit of success making it to the playoffs four consecutive years but never got past the second round of the playoffs. Their most successful era came during the eighties after drafting Isaiah Thomas in 1981. By the late eighties, they had developed a physical style of basketball and became "The Bad Boys" with players like Dennis Rodman, Bill Laimbeer, and Joe Dumars along with Thomas. The Bad Boys appeared in three consecutive Finals from 1988-1990, winning back-to-back titles in 1989 and 1990. They didn't reach the finals again until 2004 beating the Lakers in five games winning the third championship in franchise history. The four Seasons from 2003-2006 they advanced at least to the Conference Finals every year including two Finals appearances. Founded in 1946 as the Philadelphia Warriors of the BAA the team that currently plays in Oakland has been around since the beginning of the NBA. Led by Foward "Jumpin' Joe Fulks the team won the championship in the 1946–47 season beating the Chicago Stags in five games. They won their second championship with Paul Arizin and Neil Johnston in the 1955–56 season, defeating the Fort Wayne Pistons also in five games. Two years later they drafted the most dominant statistical player in NBA history, Wilt Chamberlain and moved to San Francisco in the 1962-63 season. With Chamberlain, the Warriors made it to the playoffs four times making it to the Finals once losing to the Boston Celtics in the 1963-64 season. The Warriors led by Rick Barry once again made it to the finals three seasons later losing to Wilt Chamberlain and his new team the Philadelphia 76ers in six games. Rick Barry left for four years to play in the ABA. They eventually won their third championship two years after Barry returned in 1974-75 sweeping the Washington Bullets. They formed some exciting teams in the late 80's and early 90's with "Run TMC", Tim Hardaway, Mitch Richmond, and Chris Mullin. In recent years they have returned to the NBA elite with two-time MVP Steph Curry winning the Championship in the 2014-15 and setting the NBA regular season record for wins 73, before losing to the Cleveland Cavaliers in a seven-game Finals series the 2015-16 season. The Rockets joined the NBA in 1967. Though they made the playoffs with rookie Elvin Hayes, the Rockets did not finish a season with a winning record until the 1976–77 season. That season they acquired center, Moses Malone who went on to win the MVP award twice. With Malone, Houston made it to NBA Finals in 1981 where they lost in six games to the Boston Celtics. After Malone was traded to the 76ers the Rockets soon drafted two more centers Ralph Samson and Hakeem Olajuwon who led the Rockets to the 1986 finals before losing again to the Boston Celtics in six games. They eventually won back to back titles with Olajuwon 1993-94 season and 1994-95 season coached by former Rockets player Rudy Tomjanovich. Since Olajuwon, the rockets have been a perineal playoff team making it as far as the conference finals once during the 2014-15 season. During that time they had players like Tracy McGrady, James Harden, and Hall of Famer Yao Ming. The Indiana Pacers formed in 1967 as part of the ABA where they were one of the dominant franchises. With stars like Roger Brown, George McGinnis, and Mel Daniels they played in the Finals five times winning three ABA championships in 1970, 1972, and 1973. After joining the NBA after the merger the Pacers struggled for many years making the playoff only twice from 1976 to 1989 both times losing in the first round. The next 18 seasons were their most successful in the NBA. Led By Reggie Miller they reached the playoffs 15 times advancing as far as the NBA Finals in 2000 where they lost to the Los Angeles Lakers in 6 games. During this time period, they developed heated rivalries with the New York Knicks and Chicago Bulls. The franchise started as the Buffalo Braves in 1970. In the first 8 seasons in Buffalo, they had three seasons of moderate success with Bob McAdoo, who won an MVP and Rookie of the Year Award. 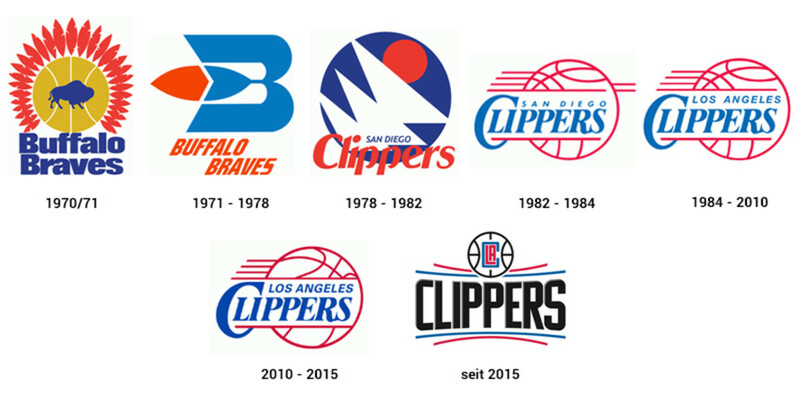 They moved to San Diego and became the Clippers in 1978. From 1978-2010 they were one of the worst teams in the league making the playoffs only four times. During that period the team also moved again to Los Angeles (1984). After trading for point guard Chris Paul in 2011 the Clippers have experienced the most successful run in franchise history making the playoffs 5 consecutive seasons advancing to the second round three times. Forming in 1948 the Lakers originally based out of Minneapolis were the first dynasty in the NBA from 1948 to 1954 the Minneapolis Lakers won five championships. Those championships included Jim Pollard, Herm Schaefer, and the most dominant player in the early years of the NBA George Mikan the league's first Superstar. In 1960 Six years after Mikan retired the Lakers moved from Minneapolis to Los Angeles. The early Los Angeles Laker teams consisted of Elgin Baylor and Jerry West from 1960 to 1968 Los Angeles Lakers were successful making it to the finals five times each time losing to the Boston Celtics. In 1968 they acquired Wilt Chamberlain in a trade from the Philadelphia 76ers that same season they again made it to the NBA finals losing again to the Boston Celtics, however, Jerry West did something never before done in NBA history winning Finals MVP on the losing team. They made it to the Finals again the next year this time playing the New York Knicks. They went on to lose in seven games. Two years later they had one of the greatest seasons in NBA history going to 69-13 including a 33-game winning streak and winning their first title in Los Angeles. They became a powerhouse again in the eighties after acquiring Kareem Abdul-Jabar in a trade from the Milwaukee Bucks and drafting point guard Magic Johnson. They went on to win five championships in the 80s while appearing in 8 NBA finals. They would make it to the finals once more in 1991 losing to the Chicago Bulls in 5 games. After Johnson retired they had a bit of a lull they made it to the playoffs five out of six seasons but never made it as far as the second round. In 1996 they acquired Shaquille O'Neal and Kobe Bryant through trade. The two along with coach Phil Jackson would go on to make four Finals appearances including winning three in a row from 2000 to 2002. After Shaquille O'Neal was traded away Kobe Bryant went on to lead the Lakers to three consecutive Finals winning back-to-back titles in 2009 and 2010. Since their last title, the Lakers have been in a rebuilding process. Forming in 1995 as the Vancouver Grizzlies they were part of the expansion that seen two Canadian teams join the NBA. One of the bottom dwellers in the NBA for six years before eventually moving to Memphis in 2001. The franchise started to have some success in Memphis making the playoffs for the first time in 2004 led by Pau Gasol. The first success after Pau Gasol traded in 2008 came in 2010 with a team led by Pau's brother Marc along with Zach Randolph. The past decade they have been a contender in the Western Conference consistently making it to the playoffs but not getting past the Conference Finals. The NBA made its first trip to Florida in 1988. The Miami Heat didn't have any successful seasons until the mid-nineties after acquiring Pat Riley, Alonzo Mourning, and Tim Hardaway. They led the team to playoff trips and developed a rivalry the New York Knicks but never got over the hump. They finally broke through in 2006 after acquiring Shaquille O'Neal and drafting Dwyane Wade winning the first title in franchise history. For the next few years, they continued to make the playoffs consistently and in 2010 they formed a super team acquiring Chris Bosh and LeBron James in the off-season. They went on to make the finals four consecutive years and win two titles. After the Hawks left Milwaukee in 1955 Milwaukee didn't have a pro basketball team until 1968 with the formation of the Milwaukee Bucks. The following year they drafted legendary center Lew Alcindor who will later become known as Kareem Abdul-Jabbar. Alcindor won Rookie of the Year. A year later they acquired All-Star Oscar Robertson and in 1971 they won their first and only NBA championship. They would make it to the finals again in 1974 this time losing to the Boston Celtics in seven games. After Jabbar requested a trade the first success for the Bucks came in the eighties. From 1979 to 1990 they had a stretch of six division titles and 11 years over .500 with teams that consisted of players like Sidney Moncrief, Marques Johnson, Paul Pressey, Terry Cummings, and Jack Sikma. The team struggled throughout the nineties missing the playoffs for 8 consecutive years. It wasn't until 1998 after hiring George Karl that they made a playoff appearance. In 2001 led by Ray Allen, Sam Cassell, and Glenn Robinson they advanced to the Conference Finals losing to the Philadelphia 76ers and 7 games. Since then they've been up and down until recently making the playoffs two of the last three years. Forming in 1989 the Minnesota Timberwolves became the first team in Minneapolis since the Minneapolis Lakers left in 1960. They didn't really have any success until after they acquired Kevin Garnett in the 1995 draft during the initial run with Garnett they made the playoffs eight straight years between 1996 and 2004 but only made it out the first round once. Since then they've had a few players have All-Star seasons like Kevin Love and two Rookies of the Year Andrew Wiggins and Karl-Anthony Towns but no playoff appearances. The New York Knicks formed in 1946 as one of the original teams in the BAA. They had early success in the league making it to the Finals three straight years from 1951 to 1953 and appearing in the playoff the first ten years of the league. After the early success though they had a down period from the mid-fifties to the late sixties only making the playoffs one time it 10 years. By 1970 though they were back on top winning their first NBA championship. From 1970 to 1973 they appeared in three out of four finals winning two. The team consisted of NBA legends like Willis Reed, Walt Frazier, Earl Monroe, Jerry Lucas, and Bill Bradley under one of the greatest coaches in NBA history Red Holtzman. They had spurts of success in the mid-seventies to the mid-eighties. It wasn't until 1985 that they drafted center Patrick Ewing with the first overall pick they acquired in first ever NBA lottery. They had prolonged success during Ewings 15 years with the Knicks. From 1985 to 2000 the Knicks made the playoffs 14 times including two NBA Finals appearances losing in 1994 to the Houston Rockets and in 1999 to the San Antonio Spurs. 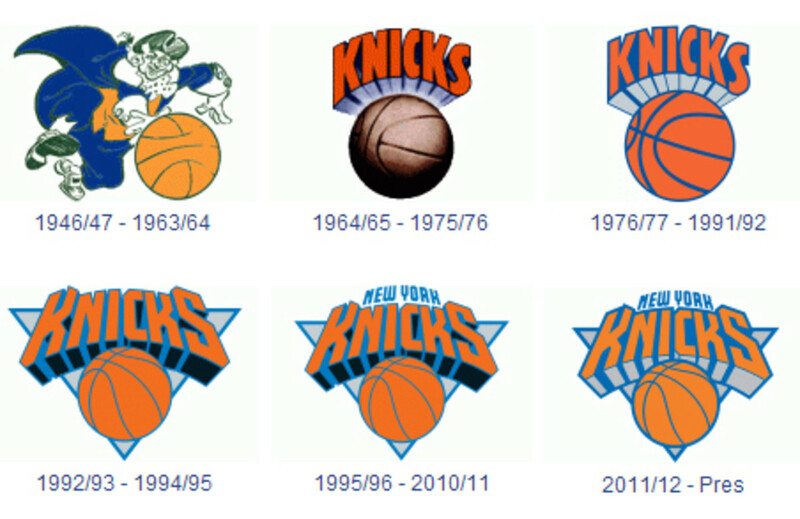 Since Patrick Ewing left the Knicks have not had much success making the playoffs only four times in the last 16 years. 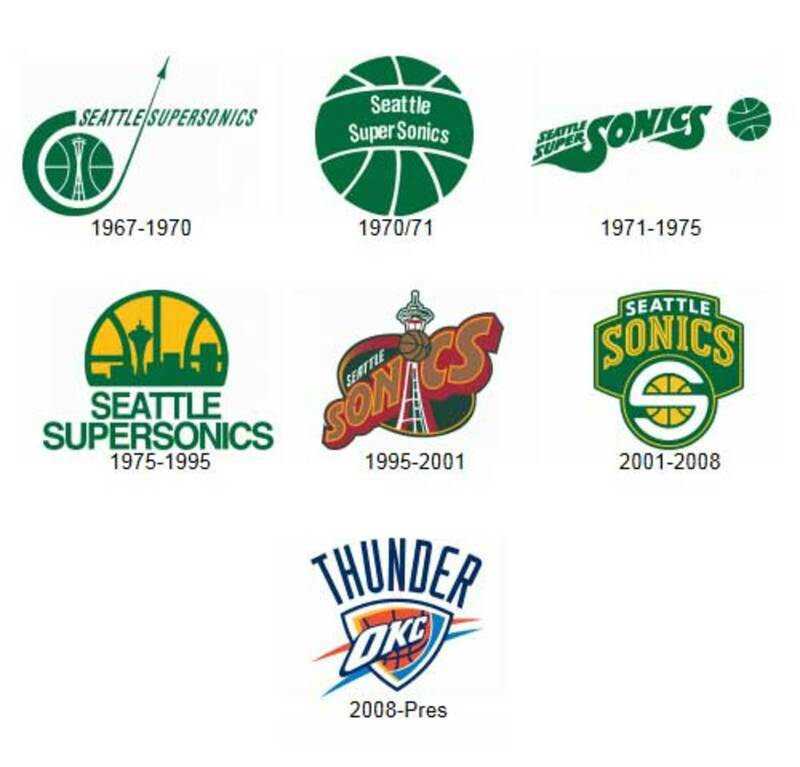 Becoming the first professional sports team Seattle, the SuperSonics were formed in 1967. They improved with Lenny Wilkens as player-coach though they didn't have any real successful until the mid-seventies coached by former Celtic great bill Russell advancing to the playoffs consecutive years losing in the conference semifinals twice. Two years later after Wilkens took over as coach mid-season they would have the most successful stretch in franchise history in three years they made it to the Finals twice winning in 1979 over the Washington Bullets and to the Conference Finals in 1980. During the eighties they once again had a modicum of success making it to the playoff 6 years getting as far as the Conference Finals in 1987. After drafting point guard Gary Payton and power forward Shawn Kemp the team made a few playoff runs getting as far as in 1996 NBA Finals losing in six games to the Chicago Bulls. In 2008 they moved from Seattle to Oklahoma City and became the Thunder. Since being in Oklahoma City they made the playoffs all but two times reaching the NBA Finals once in 2012 with the dynamic duo of Kevin Durant and Russell Westbrook. A year after the Miami Heat became the first Florida team to join the NBA the Orlando Magic joined. After drafting Shaquille O'Neal in 1992 the team had their first taste of success making it to the finals losing to the Houston Rockets in 1994 as one of the most exciting young teams in the NBA with a team that included O'Neal and Anfernee "Penny" Hardaway. After Shaquille O'Neal left in 1996 to join the Los Angeles Lakers, it was over a decade and a half for the Magic reach that kind of success again. They, led by Dwight Howard reached the Finals in 2009 and losing to the Lakers. Over the last five or so years so they have consistently been one of the worst teams in terms of records, in the NBA. The Philadelphia 76ers were founded as the Syracuse Nationals in 1946 as part of the NBL. They were a consistent contender as the Nationals making it to the Finals three times and winning in 1955 with Hall of Famer Dolph Schayes. In 1963 they moved to Philadelphia and became the 76ers. After acquiring Wilt Chamberlain from the Warriors they had success with seasons including the 1967 season and which they won 68 games a then-NBA record and an NBA championship. The team included Hall of Famers Chamberlain, Hal Greer, and Billy Cunningham. They struggled in the early seventies including an all-time worst 9-73 season in 1973. After the NBA-ABA merger, the 76ers were able to buy out the contract of Julius Erving from the Nets. In the 11 years that Julius "Dr. J" Erving played with the 76ers, they made the playoffs each year including making the finals four years and winning the championship in 1983 coached by former star 76er player Billy Cunningham. In the late eighties and nineties they've had NBA stars like Charles Barkley and Allen Iverson and in 2001 the team coached by Larry Brown, led by the years MVP Allen Iverson they lost in the NBA finals to the Los Angeles Lakers in five games. Since the Allen Iverson left they haven't had much success including the 2015-16 season and which they almost match the record for worst all-time single-season going 10-72. Forming in 1968 the Phoenix Suns didn't have much success until 1976 that year they played in one of the greatest games in NBA finals history a triple overtime thriller that ended up losing the game and the series in six games to the Boston Celtics. Most of the time in the NBA they've been relatively competitive making it to the playoffs 27 times in 33 years. They had their most successful season in 1993 after acquiring Charles Barkley who became that year's league MVP. That year they lost to the Bulls in the NBA finals in 6 games. After the Barkley era, they had another successful run with back-to-back MVP Steve Nash. During which time they developed a fast-paced style and made deep playoff runs including three Conference Finals appearances. Portland was granted a franchise in 1970. The first six years of their existence they had no playoff appearances. In the 1976-77 season, however, after hiring coach Jack Ramsay and getting the first relatively healthy season from the center Bill Walton, they won the first and only NBA title for the Portland Trail Blazers. Over the next 28 seasons the Trailblazers would go on make the playoffs 27 times including two finals appearances once in 1990 and which they lost to the "Bad Boy" Detroit Pistons and again in 1992 and which they lost to the Michael Jordan led Chicago Bulls during that season they had stars like Clyde the Glide Drexler, Clifford Robinson, and Terry Porter. They also had talented teams in the late nineties making it to the Conference Finals twice in 1999 and 2000. The Portland Trail Blazers have had talent and been relatively successful but have been hampered by severe injuries to high draft picks and key players. The seventies team was hampered by Bill Walton's constant foot injuries, the eighties teams were hampered by Sam Bowie a player they drafted number two over Michael Jordan, leg injuries, they were unable to bring Arvydas Sabonis over during the prime of his career. In recent years number one pick Greg Oden who was drafted over Kevin Durant suffered severe leg injuries and Brandon Roy who was an all-star shooting guard had to retire early due to chronic knee problems. 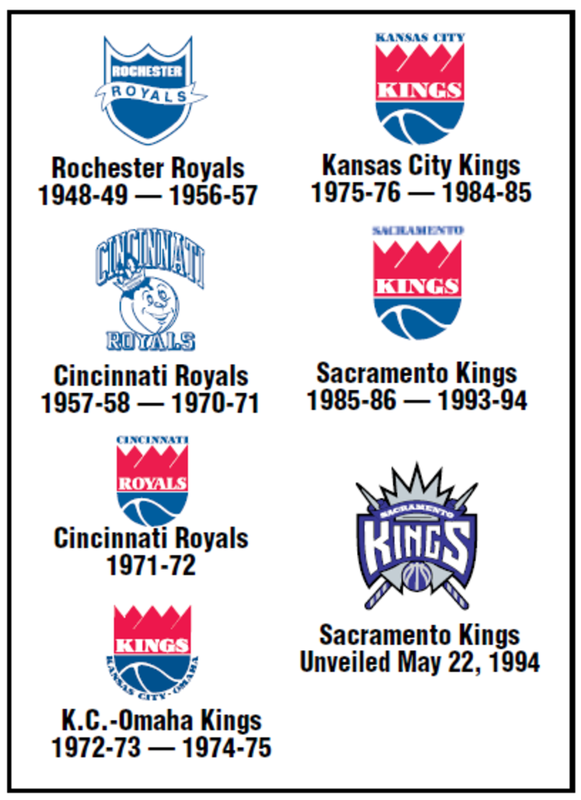 One of the oldest franchises in the NBA, the Kings started as the Rochester Royals in 1948. They were successful early on winning a championship their third year in the league. The only time the Royals missed the playoffs was the last two years in Rochester. In 1957 the team moved to Cincinnati. While in Cincinnati the team had moderate success making the playoffs seven times getting as far as the division finals twice. During that period they had one of the stars of the NBA Oscar Robertson. After making the playoffs in 1967 the Royals went on a 7-year playoff drought during which time they moved from Cincinnati to Kansas City and became the Kings. As the Kansas City Kings, they didn't have much success either they did, however, manage to make the Conference Finals in 1981. They moved to Sacramento in 1985 where they've been unsuccessful aside from an 8-year span in the early 2000's under Coach Rick Adelman led by stars like Chris Webber and Mike Bibby. During this time they got as far as the Conference Finals losing to the Lakers in 2002. The San Antonio Spurs starting off as the Dallas chapels in the ABA they were successful in the ABA making it to the division semi-finals all but one year in the ABA. They became the San Antonio Spurs in 1973. Throughout their history, the Spurs have been the most consistent team in the NBA. From 1967 to 2017 the Spurs have only missed the playoffs five times. 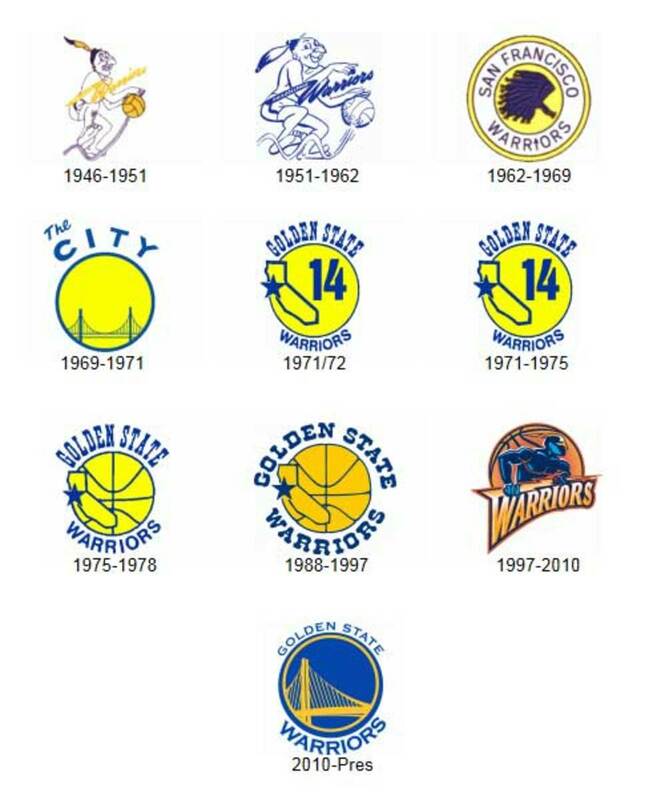 During that 50 Year span, they have appeared in 6 NBA finals winning five of them. They've had stars like George Gervin, David Robinson, Tim Duncan, and Tony Parker. Their most successful times has come under Coach Gregg Popovich who in all but one of his 20 Seasons as head coach, the Spurs have won at least 50 games. The only time they didn't reach the 50 game mark was during the lockout or shortened 1999 season in which they only played 50 games. Joining the NBA as an expansion team in 1995, Toronto Raptors have had moderate success in their 22 years of existence. They've been a consistent playoff team for many of those years having success with half man half amazing Vince Carter in the early 2000's and lately, they have been one of the best teams in the league led by Kyle Lowry and DeMar DeRozan making it to the Conference Finals in 2016. The Raptors are the only team currently in Canada. The New Orleans jazz came into the league as in the expansion team in 1974. That season they acquired flashy guard Pistol Pete Maravich in a trade from the Atlanta Hawks. During the first 8 years, they struggled in part due to injuries and poor management. They made deals that cost them the opportunity to have Moses Malone and Magic Johnson and by 1979 they had moved to Utah. 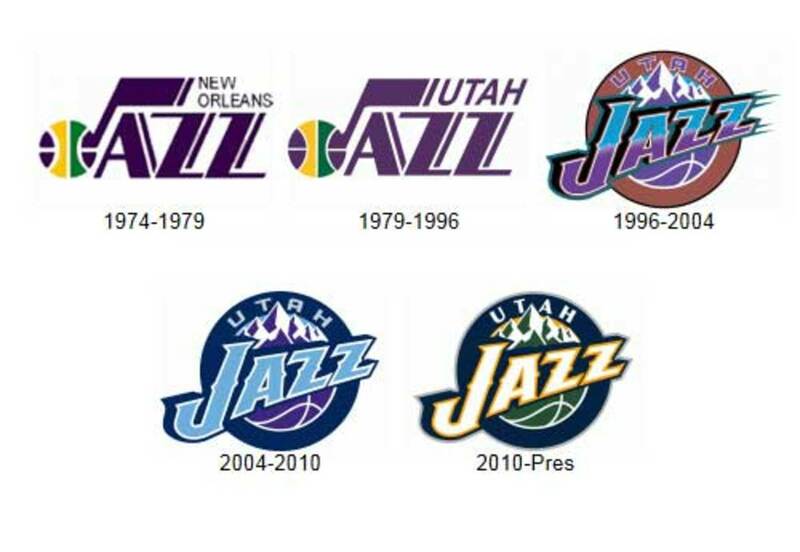 The first significant success came in Utah Starting in 1983 the Jazz had a stretch of 20 straight playoff appearances. Having one of the League's all-time great Duos of Karl Malone and John Stockton while being coached for the majority of that period by hall of famer Jerry Sloan. During the Stockton Malone era they made it to two consecutive finals and 1997 and 1998 both years losing to the Chicago Bulls in six games. Since Malone and Stockton's departure in 2003, the Jazz have been mediocre. They've made five playoff appearances advancing at one point as far as the Conference Finals in 2007 and until 2017 and had missed the playoffs four consecutive years. Starting as the Chicago Packers in 1961. The first few years of the franchise were littered with name and location changes. They spent one year as the Packers, the following year they became the Chicago Zephyrs, and after that, they became the Baltimore Bullets. In 1971 the Bullets advanced to the NBA finals where they lost to the Lew Alcindor led Milwaukee Bucks in a four-game sweep. By 1973 they changed the name again, this time to the Capital Bullets a year after acquiring Elvin Hayes from the Houston Rockets. 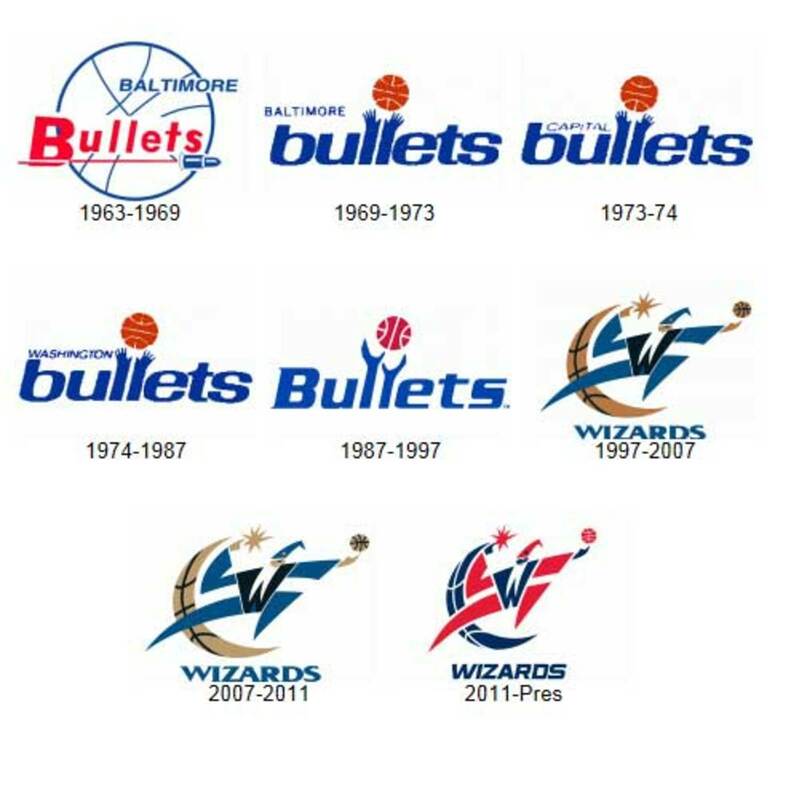 In 1974 they changed their name for the fifth time in 13 years this time to the Washington Bullets. The following year they lost in the finals to the Golden State Warriors in another four-game sweep. The Bullets finally broke through in 1978 to win the NBA championship beating the Seattle SuperSonics in a seven-game series. The following year they would lose to those same Sonics in five games. They haven't had much success after the Unseld and Hayes era. In the last 34 years, they made the playoffs 13 times making it no farther than the second round in four of those years. NBA Jam: Where Are They Now? The "X-Factor" on each NBA playoff team. Can the Milwaukee Bucks Be an NBA Eastern Conference Contender in the 2015-2016 Season? How Will the Milwaukee Bucks Do in the 2013-2014 Season?